Learn about the rising prevalence of video marketing with Thad Peterson, Director Product Marketing at Wistia. Get insight into how companies are leveraging video throughout their organization and the tips you need to make video a bigger part of your strategy. Thad, the Director of Product Marketing at Wistia, is an entrepreneurial, creative and collaborative marketing professional with a wide array of professional accomplishments and experiences, among them... shooting a Peabody Award-winning documentary, co-founding a mobile-gifting start-up, founding an apparel brand, and heading up product & content marketing at high-growth SaaS companies. What do you think people are missing from video? Stats are showing that video is becoming increasingly more prevalent “ex. 80% of web traffic by 2019 will be from watching video”. 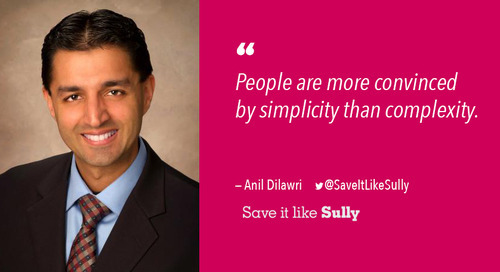 Sharpen your presentation skills with insights from Anil Dilawri, Managing Director of “Save it Like Sully,” a professional presentation and training company. 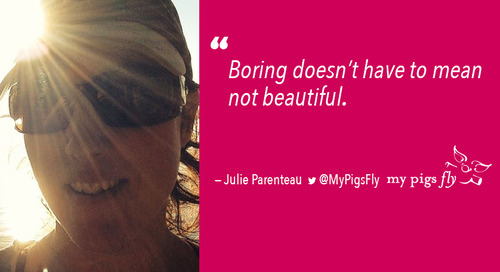 Julie Parenteau Owner, Brand Strategist & Graphic Designer of My Pigs Fly explains how to create that initial appeal and attraction and tips for collaborating design and marketing. 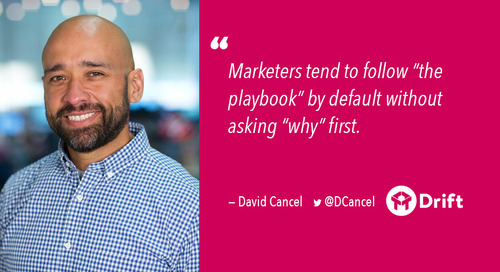 Learn about alternative strategies in B2B marketing with David Cancel, founder and CEO at Drift. Understand the role of real time messaging in future communications and the benefits of making content. 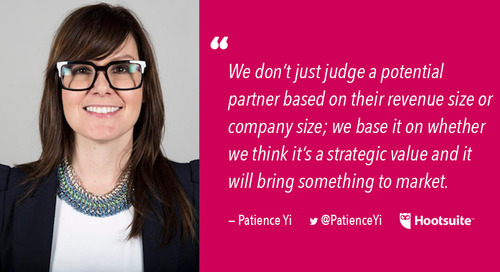 Learn about the components of building strong partner relationships with Patience Yi, VP platform & developer ecosystem at Hootsuite. 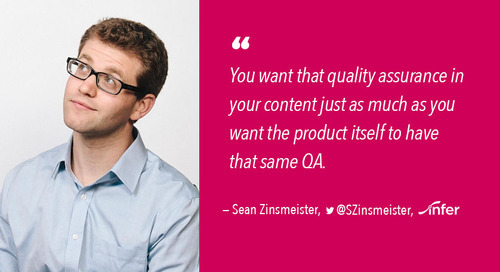 As quantity goes up, quality seems to go down. But does this always have to be the case? 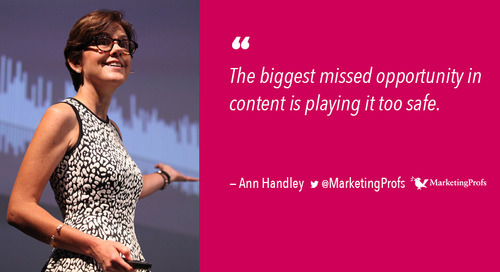 Ann Handley, CCO at MarketingProfs, thinks not. How do you make sense of the constantly shifting trends and execute marketing strategies that drive results and align with your company’s goals? Learn this & more from Lauren Goldstein. 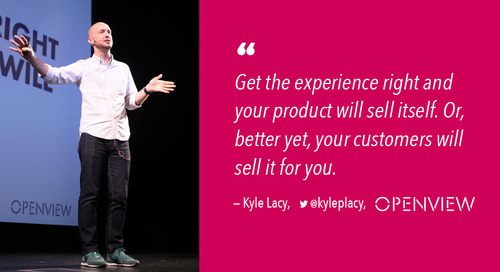 Learn from Kyle Lacy why we are experience makers and managers and why the only thing that makes us relevant are the experiences we provide. Live from UFX 2016. 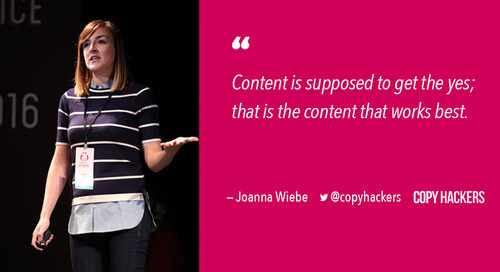 Listen to Joanna Wiebe's presentation on why you should never be content with content from The Uberflip Experience. 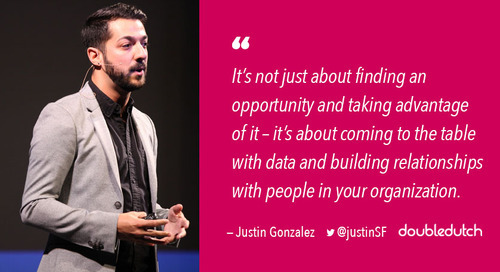 Listen to Justin Gonzalez's session from The Uberflip Experience about selling content to the c-suite and finding your window into the strategy table. We're not just competing with other companies for our customers' attention – we're competing with everything. 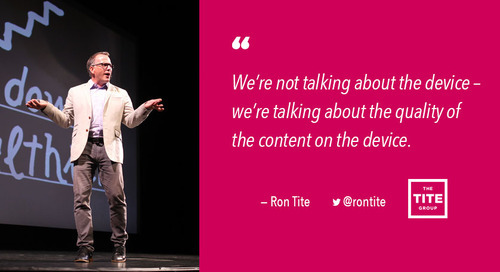 Learn from Ron Tite, CEO of The Tite Group, on how we can thrive in today's economy. Is visual content baked into your content strategy? If it's not, it should be. 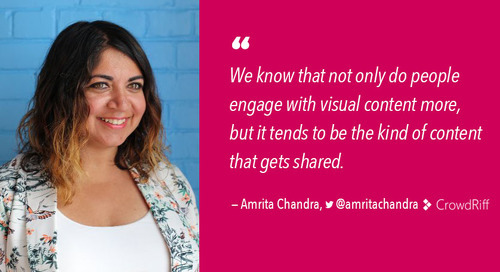 Learn more about visual content (+ user-generated content) from CrowdRiff's Head of Marketing, Amrita Chandra. 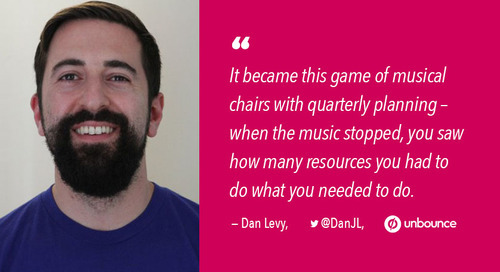 You don't have to go crazy when creating your content strategy – just go back to basics. 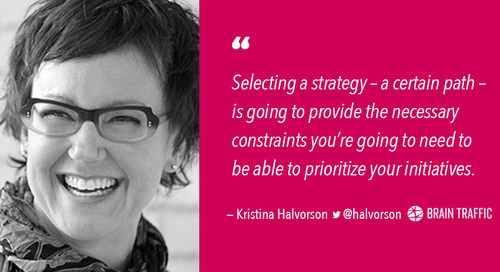 Learn more about creating a winning strategy in this podcast episode with Kristina Halvorson of Brain Traffic. 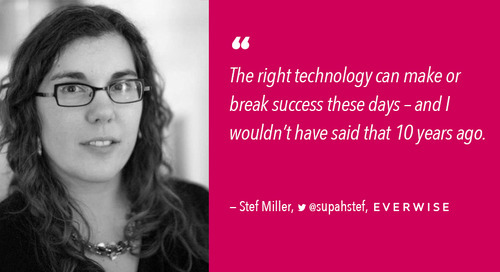 Get insights straight from the c-suite. 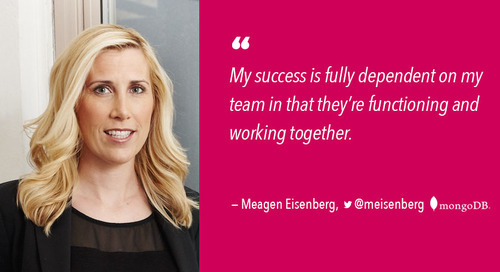 Learn CMO of MongoDB, Meagen Eisenberg's take on building a marketing team and what it entails being a CMO. 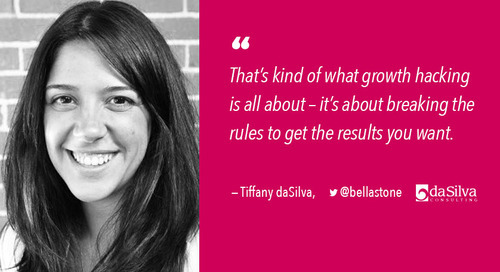 Learn about growth, PPC, CRO, and why you need to think critically about all the above in this episode with Tiffany daSilva. We all know how important it is to frame our marketing around the buyer journey, but what happens if we organize our entire team based around it? 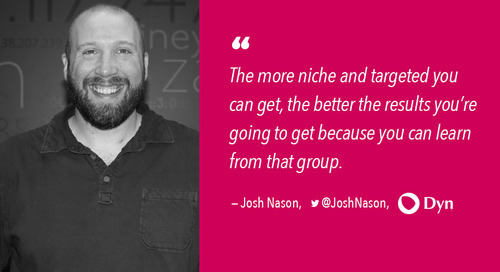 Find out how Unbounce faired when they did just that. 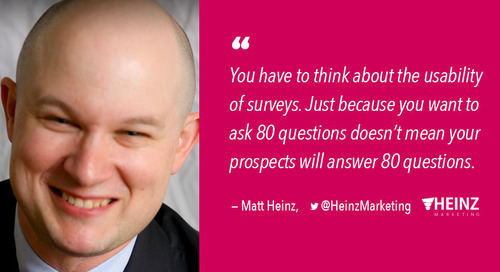 Learn from Matt Heinz how marketers can use data to improve their content & the best ways to go about sourcing it. 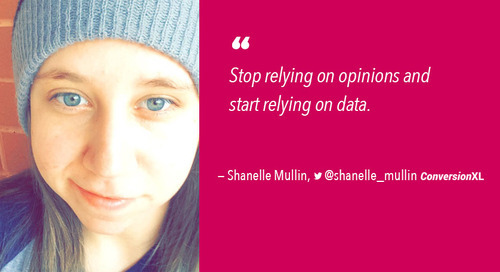 Learn how to use data to improve your content and increase your conversions with Shanelle Mullin from ConversionXL. What exactly is an email reputation manager and should you be managing your email's reputation? Find out this answer and more about everything email, content, podcasts, and even a bit about UFC. Time to learn about all the things! Product, predictive scoring & analytics, and ABM (plus more) are all covered in this episode. Learn about multiple different aspects of Stef Miller's career and experience with a strong focus on everything demand gen.